Welcome! 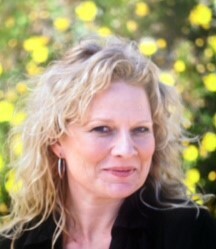 My name is Angella Winspear LDT, CAMTC #23530 owner of 'The Little Garden Spa' in beautiful Ojai, California. Your well being & the health of your skin is important to me, that's why I use the purest most effective products available and perform my spa services in a relaxing, comfortable environment with loving care and a nurturing touch. My goal is to have you leave 'The Little Garden Spa' - more relaxed, less stressed and wanting to come back, again and again! The therapeutic massages that I provide are a combination of Swedish and trigger point massage work, hot stone therapy and reflexology. I prepare a special treatment for each month that is seasonal (see monthly specials) it allows you to try something different. The Lymphatic Drainage Therapy technique I use in my spa has shown numerous results from clients with digestive problems, chronic pain, sleep deprivation, etc. Please read on this web site about the Lymphatic system and how it can help benefit you! After 10 years of serving the community I have moved my spa to a larger more tranquil and private location, my clients are in awe of the beauty of this new space. 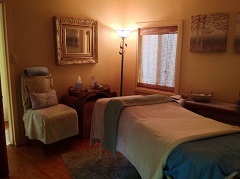 I still have some involvement with the previous location but primarily at my new spa. Lymphatic Therapy is gentle, non invasive and usually relaxing for the client. manual lymphatic therapy based on the Vodder method with the use of the Lymphstar Pro Fusion. This technology uses light and sound vibration that has been found to break up congestion and allows the lymph to move 4-8 times faster than manual lymphatic drainage alone. Assist with shorter, easier labor for expectant mothers & shorten maternity hospital stays. - Jean Crawford, after one 90-minute session. “Would you like to breathe easier, feel less burden on your body? No matter where you are in life and what your body may be experiencing, Angella Winspear has an amazing talent to identify your bodies needs to release the burden allowing the body to activate it’s own natural processes for healing through Lymphatic Drainage Therapy. Her intuitive touch reaches a holistic approach like no other. Want to let go of it all? Make an appointment, see what lymphatic work can do for you. Free and heal yourself"
difference in my overall sense of wellbeing." "I now know the value of lymphatic therapy, I would recommend this highly to everyone. Truly calming therapy, I sleep like a baby after my treatments!"